Eng. 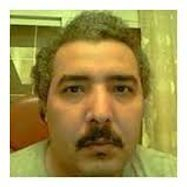 Yaser Ibrahim Kashgari, born on 22nd of November 1974 in Riyadh, Saudi Arabia Graduated from King Fahd University Of Petroleum and Minerals, located in Dhahran, Saudi Arabia with a bachelor degree in Communication Engineering and got a master degree in Business and Administration MBA from University Of Dublin, US. With 23 years of experience and worked in different firms, most at Saudi Telecom Co. (2000 - 2010) as a Team Manager at Operations Development Department, and has been assigned as a division manager. Then, started a new business. The author could speak three different languages, Arabic, English, and Francais languages. The author was dominated to be a Minister at the Ministry Of Water and Electricity at Saudi Arabia, since 2014.